Fly fishing is fast catching up as one of America’s most favorite past times. This is one of those hobbies that also need adequate gear and technical know-how. You have to spend extended hours float-tubing in a lake or wading through a river. Without the right equipment, there is every chance that you may succumb to the forces of nature. This is exactly why the fly fishing waders are one of the cherished buys of any serious fly fishing enthusiast. These don’t just help you stay dry but also protect you from potential insect attach under water. 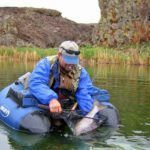 In fact, the right type of waders can often make all the difference between a great fly fishing trip and a not so memorable one. 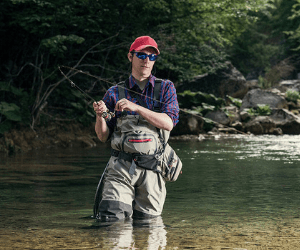 The question is how do you decide on the best fly fishing waders? Needless to mention, this requires a definitive bit of research and in-depth study of the various types of fly fishing. You have also to make a mental note of the kind of water body where you want to go for fly fishing. The depth, the time period and the mode of fly fishing often help you decide the most appropriate type of waders. In this context, you must remember that the technical terms and specifications can often be very confusing. 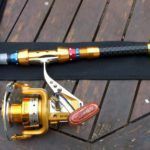 So, the first step towards buying the perfect waders is to understand the various types and their significance in flyfishing. You can then go on to other details like the material used and the overall quality of the wader eventually. But we just made your quest for the best fly fishing waders a lot simpler. Here is a comprehensive and ready guide on the wide variety of options and the basis on which you make your choices eventually. 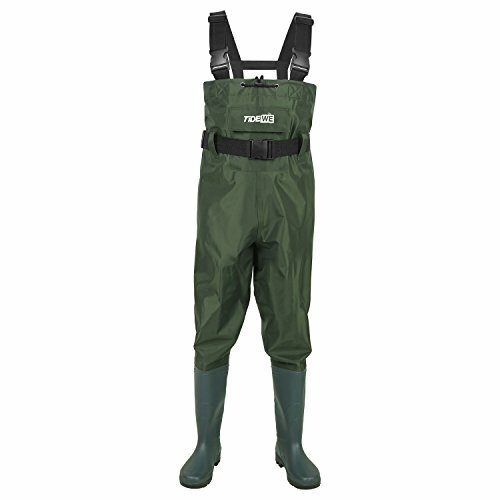 This nylon/PVC chest high wader is lightweight and extremely functional. One of the best fly fishing waders, it is decidedly lighter than conventional waders. It is easy to pack and convenient to wear at any given point of time. This is a completely waterproof wader and comes equipped with a waterproof boot attachment. The water intrusion resistance processing is one of the most distinctive features of this product. It guarantees the reliability claims of it being 100% waterproof. This seals out the water and the dirt completely. The overall design of this wader is very user-friendly. The adjustable h-shaped back, suspenders and quick release buckles make for both easy wearing and removal of the wader. The flip out chest pocket makes for convenient storage space without getting wet and keeping the essentials close by. But you must be very careful with the sizes. For the best fit, opt for a size bigger. That guarantees comfort and convenience both. Click here to see the best price. 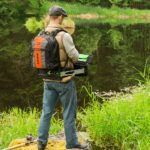 This next generation laboratory approved innovation is undeniably one of the best fly fishing waders that you can buy. Be it fit, finish and overall purpose, this is an absolutely comprehensive package. 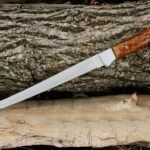 Chest high in length, it is appropriate for practically any type of fly fishing. The nylon fabric makes it much lighter and that is why wearing it in warm conditions too is never a tall ask. The belt at the waist, the strap buckles and the elastic all enhance the overall efficiency of this wader. The knit is more dense than conventional and is at least 10% lighter than regular nylon options. 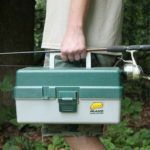 That means, this is a good option for traveling anglers and also those who are looking for some lightweight and easy to pack options. This is a leak free and 100% waterproof solution. As a result, whether you are wading in knee-deep water or deeper, this is a convenient option for all those who are looking for quality angling wear to keep them dry and comfortable. The waterproof case that comes along with these to store the waders is no doubt an added advantage. Click here to see the best price. This is another bestseller and amongst the best fly fishing waders for a number of reasons. The 3.5 mm neoprene shell is decidedly one of the most important considerations. It is a lightweight, versatile and convenient wader that keeps you in good condition in most situations. 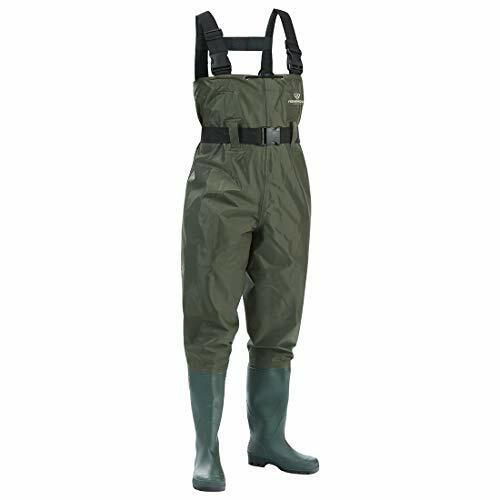 This wader is chest high and provides protection in a variety of angling opportunities apart from many other conditions where you need to work in a damp condition. The top entry pockets with fleece lines provide adequate storage opportunity. This means when you are knee deep in water, you don’t have to worry about where to store your essentials. 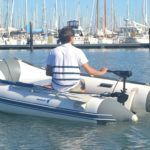 This also gives you better mobility and greater flexibility while navigating the cold water. The Y-back elastic suspender straps keep the wader properly in place. This makes sure that the water does not enter inside and you remain dry and comfortable at all times. The Thinsulate rubber boot is an added advantage. Unlike the regular boots, these are breathable so you don’t feel as hot or as uncomfortable wearing them. Click here to see the best price. The fit is continuously a problem. Many have ended up getting bigger sizes than they actually require. The boot sizes are particularly off. So when you are placing the order, you must pay attention to details and make sure you are buying the appropriate size. This is an excellent breathable stockingfoot wader. Given the fact that this is a breathable wader, it is decidedly one of the best fly fishing waders that you can buy. The neoprene fabric makes it lightweight and convenient apart from being breathable and comfortable. 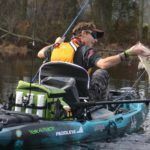 So, this is a comfortable, practical wader that can help you get an edge practically anywhere that you choose to go fly fishing. The chest pocket design with zippered storage and fleece lining makes for the perfect storage pocket that can keep your essentials safe. The boots are ergonomically designed to assure maximum comfort and great fit. 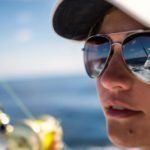 Moreover, if you are fly fishing in particularly warm regions, this will help you remain comfortable and not end up in a pool of sweat. The adjustable elastic suspenders further add to the comfort element and make sure that the wader remains in place irrespective of how long you have been wearing them. This further enhances the waterproof quality. As it means that this will remain in place perfectly and not let the damp water or dirt enter. The design also enhances mobility and helps you walk around in them. The wide range of size options is another big benefit. It helps ensure that there is always a size that fits you properly without any effort and does not hang to loose either. Click here to see the best price. The lower leg is unusually small and the gravel guards relatively tight. This can impact the fitments for many looking to have a great quality wader. 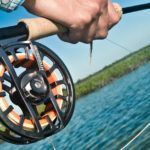 These breathable waders with double knees feature prominently in any list of the best fly fishing waders for the comfort and the convenience that they represent. The adjustable suspenders, quad pockets and the breathable gravel guards further enhance the overall convenience and comfort associated this wader. The durable and breathable polyester fabric ensures that you are never uncomfortable even if you have to wear this for an extended period. The feet of this wader are double taped and glued. This completely rules put chances of leakage and makes sure that you are dry and comfortable even in severely damp regions. The Caddis Dry Technology deserves special mention in this context. It is responsible for allowing perspiration but does a great job in keeping the water out of bounds. The range of adult sizes available is also phenomenal. This is decidedly more than what you can normally expect to find when dealing with most wader manufacturers. That also means that whatever body size or height you may be, there are more chances of getting a good fit from them. Click here to see the best price. Buying the best fly fishing waders can often be a tough ask. However, if you can pay attention to a few basic finer details, the quest becomes significantly more manageable. It helps you identify the necessary factors from the not so necessary ones. Moreover, you can better understand the importance of a certain factor over another. All in all, these parameters help you achieve the perfect marriage in terms of getting the best quality product at a very reasonable rate and within your budget. 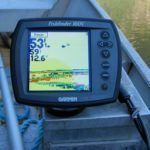 When you are dealing with fly fishing, the budget is crucial as it is a cost-intensive pastime and you do not want to spend unnecessarily on expenses you can avoid. When you are looking for the best fly fishing waders, the type that you choose can make a world of difference. 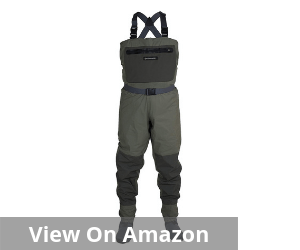 Bootfoot: The bootfoot chest waders are your best friend if you like angling on saltwater shores. This one does not have any laces to tie or adjust. The boot is permanently attached to the wader and you have to simply slip it on like a baby romper. This also saves you an additional expense of a boot. Stockingfoot: These are not as heavy as the bootfoot waders but these are more like additional fly fishing gear apart from the boots and sandals. This stocking keeps your legs dry even when the boot is submerged in water. These lightweight options are best for traveling fly fishers. These work very well when you have to walk wading through damp conditions for a fairly long distance. 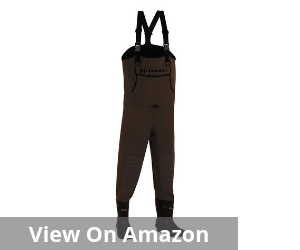 Hip-length: This is a two-piece set of waders. Unlike the previous ones, this one has to be worn separately in two separate legs. As the name suggests, these waders are as high as the hip and offer considerable protection. This is far less constricting and offers the wearer considerable mobility. 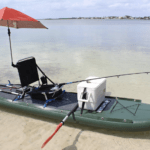 Apart from fly fishing, these can be used for launching trailers, clam digging and boggy terrain hunting. 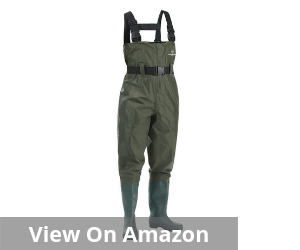 Waist-length: This is somewhere between the chest waders and the hip-length ones. This incorporates the minimalism of the hip length waders along with the convenience of the bootfoot chest waders. 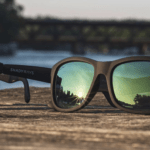 If you are a fly fishing enthusiast in the warm areas, this can be a better option. The chest-high ones can be at times very warm and uncomfortable. Next is the material that is used. Quite obviously, this is a waterproof variant but even in that, there are various options. Rubber, nylon, neoprene and breathable waterproof materials like Thinsulate and Gore-Tex are some of the top options. The neoprene waders are best suited for colder weather. Meanwhile, the nylon ones are fairly less expensive and equally lightweight. The rubber waders are by far one of the bulkiest. However, all of these three variants are not breathable, and the user can end up feeling really hot and uncomfortable when they are wearing for an extended period. The waterproof breathable ones are amongst the most versatile and comfortable ones. But all said and done, your wader is only as good as it fits. 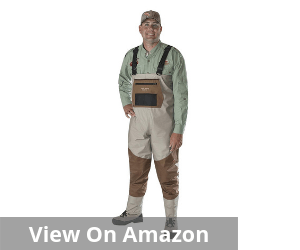 When you are looking for the best fly fishing waders, it is important that you get ones that fit you well. In case it is too loose, you will end up with water seeping inside the waders. On the other hand, the tight ones will hinder your movement and you will face difficulty in moving around. The best fit is somewhere between baggy and tight. It needs to cling to your body like a leotard, but at the same time, it seems to be loose enough to allow you proper movement. When you are looking for the best fly fishing waders, you also need to pay attention to the quality of the outsoles. 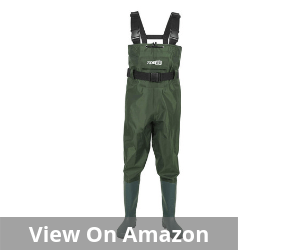 Remember, you are not going to wear these waders in parts. It is the complete package that you have to consider, and that will what help you get the best experience. Always undertake a thorough search before you decide on anything for the final. That way, you will be able to make an informed choice based on a variety of possibilities. Needless to mention, with the proper waders in place, your fly fishing experience will surely soar new heights.